Several nights ago, as the eclipsing moon hid behind the clouds, and the temperature dropped to the teens, I witnessed a side of Nashville few get to see. I met our city’s poorest and most vulnerable residents. In their cars, at camps, in tents, and on the side of the road, I met the folks on the margins. I work for Open Table Nashville, a homeless outreach nonprofit. We believe that getting someone a coat or blanket or hot meal is just the tip of the iceberg of service. I’m proud of our outreach workers who consistently meet people where they are, provide them with the supplies they need, and eventually get them into housing. 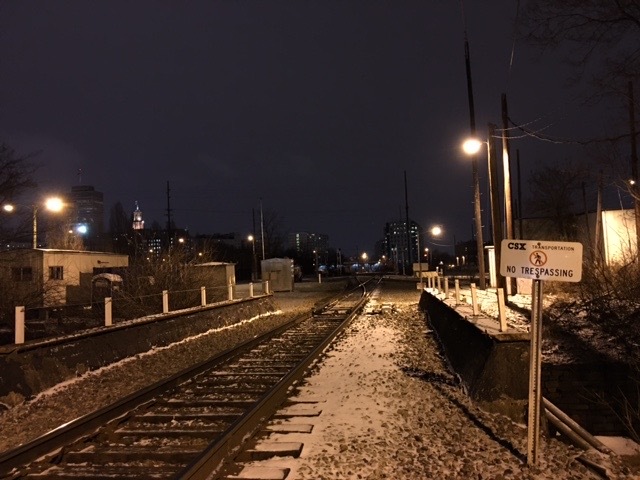 Through a collaboration with the city and other service providers, we canvass on especially cold nights to take people experiencing homelessness to a warming shelter. Since November, our team has already gone out nearly 20 times; our outreach workers do this in addition to their work during the day. As I work on the administrative side of the organization as the Volunteer & Development Coordinator, I had never been canvassing. This was an activity reserved for our outreach team and volunteers willing to brave the cold. But I decided that to do my job properly I needed to see all the work that our organization does, so last Sunday I went out canvassing for the first time. I am not what many people would call a “warm” person. I don’t like hugging and struggle with small talk. So direct service has never been how I try to make the world a better place. I prefer advocacy and education and in my current position, fundraising. Needless to say, canvassing had always intimidated me. Seeing our outreach workers cram their cars with supplies, pile on layers upon layers of clothes, and answer texts while navigating around the city left me with the impression that canvassing was not something I could handle. I was extremely grateful to my coworker Georgia, our North Nashville outreach worker and housing navigator, who took me on her run with her. From 7-11 p.m. we rode around in her car, stopping at all the secret spots that only someone who has been doing this kind of work a long time can know about. Off highways, in underpasses, and clearings backed up to neighborhoods, we found her people. She has spent countless hours searching for people, getting them to trust her, and then figuring out their needs. So she knows who needs propane to heat up their tent, and who just needs blankets. And most people want both. We quickly run out of propane, blankets, and coats. At one point, while in a parking lot off a greenway, Georgia gives a man the gloves she’d been wearing that night. Despite seeing it with my own eyes, I would still describe some of the living conditions as unimaginable. And through those unimaginable conditions and blistering cold, everyone we talked to was so pleasant. We received so much thanks and a few “I love yous.” Georgia was able to catch up on camp gossip from one gentleman we took from the greenway to the shelter. Georgia asked one guy we recruited from an underpass what he wanted to listen to on the way to East Nashville. He just wanted to listen to Al Green. So we played Al Green. Down Charlotte Pike and across 40E and along Shelby Ave, we listened to some of Rev. Green’s greatest hits. The shelter, which is officially known as the overflow warming shelter, is located at the Shelby Park Community Center. I wouldn’t necessarily say it’s located in the heart of East Nashville, but maybe its spine. We drop off our first passenger (the first one who wanted to go to the shelter, most people prefer to stay with all their earthly possessions even when it’s 15 degrees outside) around 8PM and walk inside with him. We walk past a sign-up table and go inside the gymnasium. While the capacity is supposed to be 75, there’s at least 150 people crowded onto mats on the floor (the number that night would eventually rise to 210). Georgia sees one of her regulars and chats. He asks for a coat and then the guy next to him asks for one too. So she runs back to her car to grab what she has, then gives the new guy her phone number. Georgia is a native Nashvillian so she’s able to dart through a maze of streets in Nashville and knows shortcuts all the new transplants could only dream of. But even to her, some of the city is difficult to navigate because it is an ever changing landscape. And these changes are quickly felt amongst our friends on the streets. They are arguably the canaries in the coal mine of gentrification; and some of our friends will meet a similar fate. 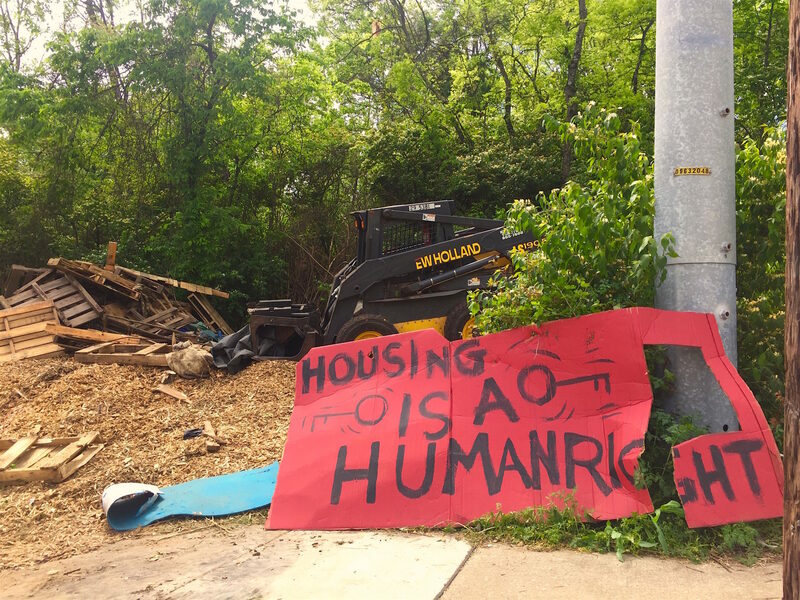 While the repercussions for me for Nashville’s high-speed development was an ever-increasing rent that pushed me to buy a house earlier than I expected, others will feel those effects much more harshly. It is jarring to see rows upon rows of luxury apartments in construction and literally less than 100 feet away someone living in a shed. One man, staying in a tent off I-65 refused to go to the shelter because he had to work in the morning. As the shelter was on the other side of town, he didn’t know if he could make it on time. Lots of unhoused people work, and damn hard too. But working and being able to afford housing are two very different things. This is not news, the city is aware of this issue. I do not have some grand revelation about life and humanity. I can’t say that I learned anything especially insightful about dignity and despair. I don’t have any new critiques of capitalism. I just helped a few people and really liked how I felt. Advocate: Call or email your city council representative and ask for them to prioritize affordable housing and increased funding for the Barnes Fund. Donate: Donate supplies from our Amazon Wishlist or give directly to fund OTN. Volunteer: Sign-up to canvass here and join our mailing list for updates on canvassing opportunities.